Copenhagen is known for theme parks, historic sites, museums, nightlife, and parks. 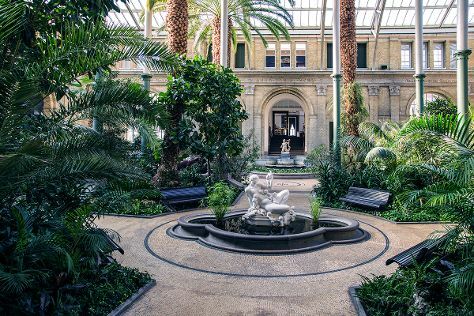 Your plan includes some of its best attractions: examine the collection at National Museum of Denmark, find something for the whole family at Tivoli Gardens, take a stroll through Stroeget, and snap pictures at Oresund Bridge. To see photos, maps, ratings, and tourist information, use the Copenhagen holiday planner . New Delhi, India to Copenhagen is an approximately 11-hour flight. You can also do a combination of flight and train. You'll gain 4 hours traveling from New Delhi to Copenhagen due to the time zone difference. Plan for cooler temperatures traveling from New Delhi in May, with highs in Copenhagen at 19°C and lows at 8°C. Wrap up your sightseeing on the 30th (Wed) to allow time to travel back home.